Grade I injuries involve stretched ligaments without macroscopic tearing, little swelling or tenderness, minimal or no functional loss, and no mechanical instability of the joint. Grade II injuries involve a partial macroscopic tear in the ligament with moderate pain, swelling, and tenderness over the involved structures. 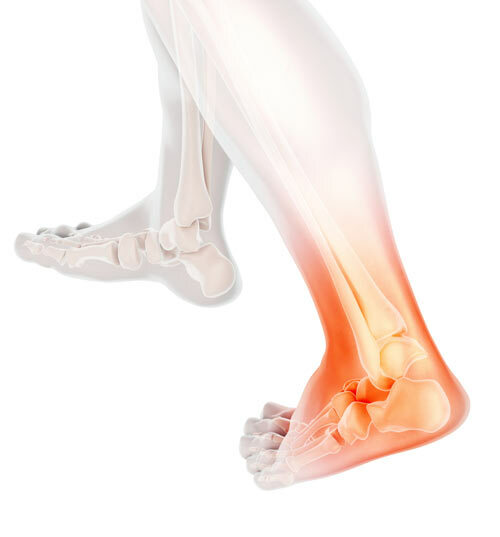 There is some loss of ankle joint movement and mild to moderate instability. Grade III injuries involve a complete rupture of the ligament with marked swelling, hemorrhage, and tenderness. Loss of function is evident, with abnormal motion and instability of the joint. A more useful clinical approach divides these injuries into stable and unstable injuries based on the findings of the anterior drawer and talar tilt test.8 Despite the high prevalence of ankle injuries, non-surgical management remains controversial and centered around this question: should we immobilize the acute ankle injury or not? Despite the extremely high prevalence of ankle sprain injuries as well as the drive toward evidence-based medicine, there are surprisingly few well-conducted level 1 studies to guide therapy for healthy young adults or the elderly. Early, active range of motion exercises. Specific to ankle sprains, functional rehabilitation training protocols typically consist of stability and postural control exercises aimed at recovering from the proprioceptive defect that occurs after an ankle injury and preventing recurrent sprains by improving stabilometric results.14 Devices commonly used by physical therapists that aid in stability training are the wobble balance board/biomechanical ankle platform system (BAPS) or ankle disk. The positive effects of these methods on proprioception have been demonstrated in various studies.15-17 The rehabilitative protocol for an ankle sprain injury is based on building strength of the peroneal muscles and regaining normal proprioceptive function and protective reflexes. Generally, there are two approaches to conservative treatment of the acute ankle sprain: immobilization (usually with a cast) and functional rehabilitation. Almost all authors have concluded that grade I or II ankle sprains recover quickly with non-operative management and with a good prognosis.9 Multiple studies18-22 have advocated for functional treatment instead of 4-week cast immobilization as it provides more rapid recovery of ankle mobility, early return to work and physical activity without compromising mechanical stability of the ankle. Furthermore, functional treatment is free of the complications of cast immobilization, such as joint stiffness, muscle atrophy, loss of proprioception, and increased risk of deep vein thrombosis. A single-blinded randomized controlled study by Lamb et al23 compared the effectiveness of three different mechanical supports (Aircast® brace, Bledsoe® boot, or below-knee cast) against double-layer tubular compression bandage in promoting recovery after severe ankle sprains. They found that a 10-day duration of complete immobilization in a below-knee cast or, alternatively, the Aircast® brace resulted in faster recovery than if the patient used only the tubular compression bandage. However, the advantages conferred by the treatments other than tubular compression bandage decreased over time as differences in outcomes were much more pronounced at 3 months than at 9 months. Furthermore, a major shortcoming of this study was that it compared different methods of immobilization but did not take functional treatment into consideration. The quality of currently available evidence to guide therapeutic treatment is poor. The 2015 randomized control trial by Naeem et al18 that compared functional treatment to plaster-of-paris casting failed to describe the various treatment arm protocols, leaving out pertinent information such as length of immobilization in the cast and denoting only “TG” for the functional treatment group. With such omissions, these authors and other readers can only presume that the functional treatment group only received Tubigrip® compression stockings. Given the limited protocol details, their findings of functional rehabilitation besting casting is impossible for others to validate in terms of pain reduction and improved functional stability. Additionally, the heavily cited Cochrane review published by Kerkhoff19 in 2002 that favored functional treatment when compared with immobilization was withdrawn from publication in 2013 due to being substantially out of date. The Cochrane review in its entirety is unavailable to be viewed by readers, thus limiting the review of current literature by the authors of this article and corroboration of other articles citing Kerkhoff’s review. There has been no new systematic review of that caliber published since then. The review by Vuurberg20 in 2018 does not change the currently accepted recommendations of advocating for functional supports over immobilization. RICE—rest, ice, compression, and elevation—is the generally accepted first-round treatment for inflammation after an acute ankle sprain.27-28 Inflammation causes pain, edema, hyperalgesia, and erythema, all of which can limit the patient’s ability to perform the rehabilitation required for proper healing.29 However, we now know that protecting the ankle after an acute ligamentous injury plays a significant role in controlling the swelling and inflammation that can occur in the first 24-48 hours after an injury; as such, PRICE—Protection, Rest, Ice, Compression, and Elevation—should become the new clinical mnemonic for the treatment of inflammation after trauma. A short period of immobilization to protect the injured ankle facilitates a rapid decrease in pain and swelling. A randomized control trial with 51 patients by Bilgic and colleagues concluded that treatment of acute ankle sprains with an elastic bandage was more effective than a splint in reducing edema after 7 days of treatment. The authors postulated that the elastic bandage preserves joint motion, thereby reducing the extent of edema.30 Accumulation of fluid and edema around an injury site increases tissue damage, delays healing, and results in some degree of chronic disability.31 Although there is insufficient evidence available from randomized control trials to determine the effectiveness of RICE therapy for acute ankle sprains,20,32,33 we believe that the use of ice and compression, in combination with protection, rest, and elevation are important aspects of treatment in the acute ankle sprain. A short period of protection and immobilization is indicated during the acute phase to control pain and swelling, but early functional rehabilitation should begin as soon as possible. There is a plethora of removable external products to support the injured ankle during the acute inflammatory phase, including the Air-Stirrup Ankle Brace®, lace-up braces, and taping. The superiority of one external support over another is debated rigorously in the literature.33-35 A Cochrane Collaboration meta-analysis33 published in 2002 demonstrated lace-up bracing or semi-rigid bracing had better results when compared with the use of an elastic bandage or taping in terms of more rapid return to work and activity and decreased swelling at short-term follow up. However, it must be noted that this Cochrane review also has been withdrawn from publication due to its substantial age. Despite the extremely high prevalence of ankle sprain injuries as well as the drive toward evidence-based medicine, there are surprisingly few well-conducted level 1 studies to guide therapy for healthy young adults or the elderly. Based upon a review of the literature and available evidence, our recommendation for all acute ankle sprains includes short-term immobilization in a cast or a removable semi-rigid or lace-up brace for 7-10 days followed by early, functional rehabilitation. After a short period of immobilization, patients should be encouraged to weight-bear as tolerated as early as possible. However, they may require a period of protected weight bearing in a removable lace-up or semi-rigid ankle brace prior to gradual return to regular shoe gear. Supervised functional rehabilitation should begin with the goal of returning patients to their pre-injury level of activity. A functional rehabilitation program that emphasizes proprioception training remains at the core of the treatment for ankle sprains, but a short period of immobilization allows the patient to navigate the acute inflammatory phase of healing and progress to functional treatment more rapidly with better long-term-return to activity. Dr. Tien is a second-year resident at Chino Valley Medical Center in Chino, CA. Dr. Shapiro is the residency director of Chino Valley Medical Center and associate professor at Western University of Health Sciences in Pomona, CA. Dr. Labovitz is Assistant Dean of Clinical Education and a professor at Western University of Health Sciences in Pomona, CA. Garrick JG. The frequency of injury, mechanism of injury, and epidemiology of ankle sprains. Am J Sports Med. 1977;5(6):241–2. Baumhauer JF, Alosa DM, Renstrom AF, et al. A prospective study of ankle injury risk factors. Am J Sports Med. 1995;23(5): 564-70. Balduini FC, Tetzlaff J. Historical perspectives on injuries of the ligaments of the ankle. Clin Sports Med. 1982 Mar; 1(1):3-12. Ferran NA, Maffulli N. Epidemiology of sprains of the lateral ankle ligament complex. Foot Ankle Clin. 2006 Sep; 11(3):659-62. Polzer H, Kanz KG, Prall WC, et al. Diagnosis and treatment of acute ankle injuries: development of an evidence-based algorithm. Orthop Rev (Pravia). 2012 Jan 2;4(1):e5. Kannus P, Renstrom P. Treatment for acute tears of the lateral ligaments of the ankle: surgery, cast, or early controlled mobilization? J Bone Joint Surg. 1991; 73A: 305-12. Tscherne H, Wippermann BW. Current state of functional therapy. Definition and indications. Langenbecks Arch Chir Suppl II Verh Dtsch Ges Chir. 1989;465-8. Karlsson J, Faxe´n E, Eriksson BI. 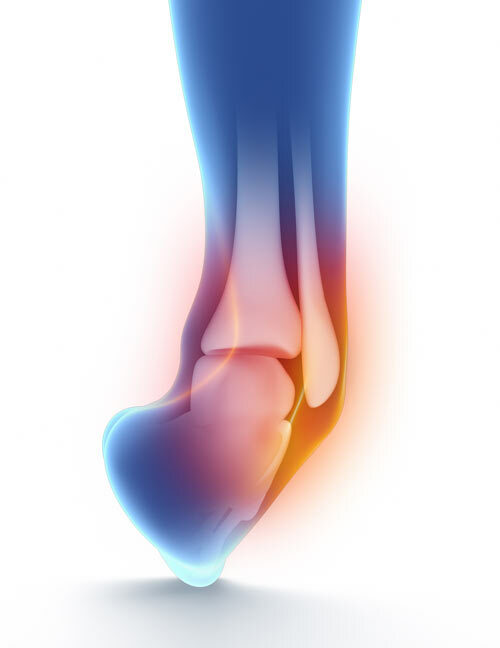 Ankle joint ligament injuries: prevention, evaluation and treatment. Crit Rev Phys Rehabil Med. 1996;8:183–200. Lephart SM, Henry TJ. Functional rehabilitation for the upper and lower extremity. Orthop Clin North Am. 1995 Jul;26(3):579-92. Chorley JN, Hergenroeder AC. Management of ankle sprains. Pediatr Ann. 1997 Jan;26(1):56-64. Tropp H, Askling C, Gillquist J. Prevention of ankle sprains. Am J Sports Med. 1985;13(4):259-262. Sheth P, Yu B, Laskowski ER, An KN. Ankle disk training influences reaction times of selected muscles in a simulated ankle sprain. Am J Sports Med. 1997; 25(4):538-543. Mohammadi F. Comparison of 3 preventive methods to reduce the recurrence of ankle inversion sprains in male soccer players. Am J Sports Med. 2007;35(6):922-6. Verhagen EA, van der Beek A, Twisk J, et al. The effect of a proprioceptive balance board training program for the prevention of ankle sprains: a prospective controlled trial. Am J Sports Med. 2004;32(6):1385-93. Naeem M, Rahimnajjad MK, Rahimnajjad NA,et al. Assessment of functional treatment versus plaster of Paris in the treatment of grade 1 and 2 lateral ankle sprains. J Orthop Traumatol. 2015; 16:41–6. Vuurberg G, Hoorntje A, Wink LM, et al. Diagnosis, treatment and prevention of ankle sprains: update of an evidence-based clinical guideline. Br J Sports Med. 2018 Mar 7. Lynch SA, Renstrom PA. Treatment of acute lateral ankle ligament rupture in the athlete. Conservative versus surgical treatment. Sports Med. 1999 Jan;27(1):61-71. Schrier I. Treatment of lateral collateral ligament sprains of the ankle: a critical appraisal of the literature. Clin J Sports Med. 1995; 5: 187-95. Lamb SE, Marsh JL, Hutton JL, et al. Mechanical supports for acute, severe ankle sprain: a pragmatic, multicenter, randomized controlled trial. Lancet. 2009 Feb 14;373(9663):575-81. Kaikkonen A, Hyppanen E, Kannus P, et al. Long-term functional outcome after primary repair of the lateral ligaments of the ankle. Am J Sports Med. 1997; 25:150–5. Fong DT, Chan YY, Mok KM, et al. Understanding acute ankle ligamentous sprain injury in sports. Sports Med Arthrosc Rehabil Ther Technol. 2009; 1:14. Pijenburg ACM, van Dijk CN, Bossuyt PMM, et al. Treatment of ruptures of the lateral ankle ligaments: a meta-analysis. J Bone Joint Surg. 2000;82-A:761–73. Andersson S, Fredin H, Lindberg H, et al. Ibuprofen and compression bandage in the treatment of ankle sprains. Acta Orthop Scand. 1983 Apr;54(2):322–5. Heere LP. Piroxicam in acute musculoskeletal disorders and sports injuries. Am J Med. 1988;84(5A):50–5. Zhang Y, Shaffer A, Portanova J, et al. Inhibition of cyclooxygenase-2 rapidly reverses inflammatory hyperalgesia and prostaglandin E2 production. J Pharmacol Exp Ther. 1997 Dec;238(3):1069-75. Bilgic S, Durusu M, Aliyev B, et al. Comparison of two main treatment modalities for acute ankle sprain. Pak J Med Sci. 2015;31(6):1496–9. Ogilvie-Harris DJ, Gilbart M. Treatment modalities for soft tissue injuries of the ankle: a critical review. Clin J Sport Med. 1995;5(3):175–186. Van den Bekerom MP, Strujis PA, Blankevoort L, et al. What is the evidence for rest, ice, compression, and elevation therapy in the treatment of ankle sprains in adults? J Athl Train. 2012 Jul-Aug;47(4):435-43. Kerkhoffs GM, Struijs PA, Marti RK, et al. Different functional treatment strategies for acute lateral ankle ligament injuries in adults. Cochrane Database Syst Rev. 2002;3: CD002938. Van den Bekerom MP, van Kimmenade R, Sierevelt IN, et al. Randomized comparison of tape versus semi-rigid and versus lace-up ankle support in the treatment of acute lateral ankle ligament injury. Knee Surg Sports Traumatol Arthrosc. 2016;24:978–84. Kemler E, van de Port I, Schmikli S, et al. Effects of soft bracing or taping on a lateral ankle sprain: a non-randomised controlled trial evaluating recurrence rates and residual symptoms at one year. J Foot Ankle Res. 2015;8:13. One Response to Management of acute ankle sprains: To immobilize or not? A very interesting article especially in the area of apparent lack of research.